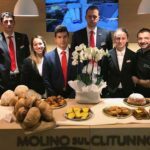 Umbria is amongst the key players of this international event where the spotlights focused on the Umbrian flour of Molino sul Clitunno. 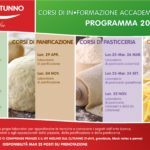 The company of Umbria proved once again to be one of the leading operators in the field of quality flour for professional uses, in line with the needs of a market that is becoming more and more careful, demanding and “healthy food oriented”. 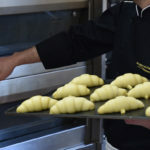 Sigep is one of the most important trade fairs in the field of bread-making, pizza-making and patisserie, as well as in the fields of ice cream and chocolate. The expo’s figures have experienced a 2% growth with respect to last year’s edition: 200,000 visitors, amongst which 32,848 foreign buyers coming from 185 countries. 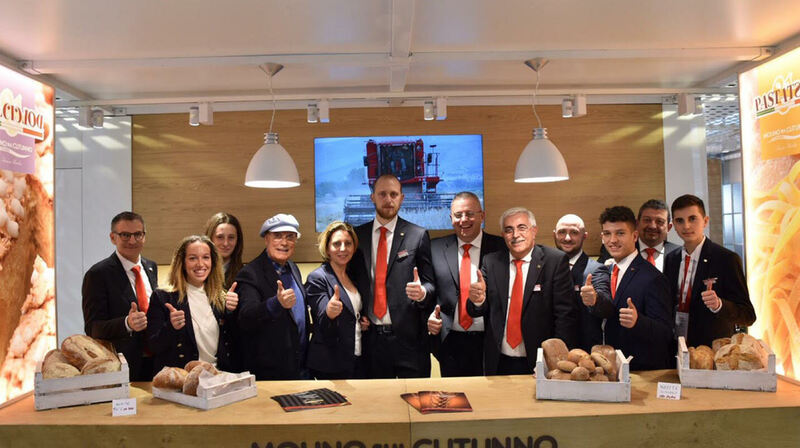 Molino sul Clitunno has also experienced growing interest of buyers and the press towards the products it presented at the expo. The company of Trevi definitely reached its goal and fulfilled its expectations with regards to this 40th edition of the expo. In particular, it focused on presenting its innovative and top range Oro Puro line of flour, consisting of three “TYPE 0” flours with a strength of W230, W300 and W400, a “TYPE 1” flour with a high protein content and an extremely high quality WHOLEMEAL flour. Five new product ranges, produced using only selected and certified Emilian wheat, amongst the best available in Italy. 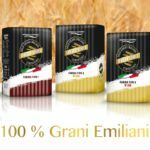 These new ranges are part of the company’s project, which is based on an increase in the quality of the product by means of considerable economic, technological and human resource investments to achieve the excellence of Made in Italy food. Certification is an added value that does not have a considerable influence on the product’s final price nor on the renowned high quality of these flours of Umbria. It is instead another step in the direction of traceability of the Italian production chain, as required by the most stringent international protocols and standards. The result of this work and dedication is a final product with superior organoleptic properties, which gains the appreciation of professionals by virtue of its high performance and of consumers looking for healthy and safe products. 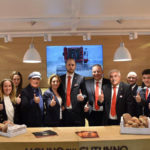 The Riso Pizza flour was another new 2019 Molino sul Clitunno product that aroused the attention of visitors and buyers who attended the cooking shows held at the expo with the master bakers of the Antico Fienile company academy. In fact, this year Molino sul Clitunno presented a series of workshops on bread, pizza and pastry making, with the collaboration of an exceptional dream team, namely renowned master bakers who have used our products to bake a variety of different bread, pizza, croissants, biscuits and babas and to highlight the versatility of these flours for many different techniques and leavening processes. At the Molino sul Clitunno stand, there was also an amusing unscheduled event with the presenter Luca Sardella and the Mediaset cameras of the Parola di Pollice Verde TV show, that stopped to attend the pizza workshop of Federico Visinoni, World Champion at the 2015 Pizza World Championship in Parma, and, of course, to taste a slice of freshly-baked Neapolitan pizza. Amongst the personalities visiting the Molino sul Clitunno stand, a curious Natale Giunta, the chef from Palermo, well-known as chef of the popular “La Prova del Cuoco” TV show on Rai 1, who tasted the different kinds of bread made with our Oro Puro line. He was guided during this multi-sensory journey through quality bread-baking by master baker Favio Gargiulo of the Antico Fienile academy, one of the leading Italian experts in the field of bread-making. Favio Gargiulo had the chance to explain to Mr Giunta the characteristics of the different types of flour and the baking methods adopted. The chef of La Prova del Cuoco was very favourably impressed by the excellent performance and by the taste of the final products. This is truly an edition to remember and a very positive experience for Molino sul Clitunno. The upcoming appointments include not only the next edition of Sigep in 2020 but also the many new projects and events scheduled for the months to come.